Mumbai, Feb 8 (IANS) Auto stocks took a major hit on Friday led by Tata Motors which was the top Sensex and Nifty loser in early trade following its declaration of a massive third quarterly loss the day before. After losing as much as 22 per cent during morning trading, the Tata Motors stock closed on Friday at Rs 151.30 a share, down Rs 31.60, or 17.28 per cent, on its previous close on the Bombay Stock Exchange (BSE). Analysts blamed the decline in automobile stocks on disappointing quarterly results, along with sales downtrend and high interest cost which plunged major auto stocks. According to sector experts, the auto sales downtrend, which has continued since last year, has been reflected in the companies balance sheets during the third quarter ending December. The disappointing results triggered the downslide in stocks on Friday, they said. Auto stocks also declined over 3 per cent as all the auto companies on the Sensex traded lower. Other major losers included MRF, Eicher Motors and Motherson Sumi. 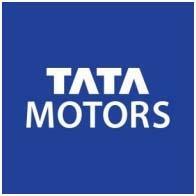 Tata Motors Group on Thursday reported a massive net loss of Rs 26,961 crore for the third quarter ended December. It had posted a net profit of Rs 1,214.60 crore for the corresponding period of the previous year. According to the group, its net profit was impacted by an exceptional item of "Asset Impairment" in Jaguar Land Rover (JLR) worth Rs 27,838 crore (3.1 billion pounds). However, on the standalone basis, the company -- Tata Motors -- reported healthy quarterly numbers. Its net profit during the quarter under review rose to Rs 617.62 crore, from Rs 211.59 crore reported for the corresponding quarter of the previous year. Earlier on Friday, data released from the Society of Indian Automobile Manufacturers (SIAM) ahowed that passenger vehicle sales continued on their downtrend in January as high interest cost and financing constraints dented demand. According to SIAM data, sales of passenger vehicles in the domestic market declined by 1.87 per cent on a year-on-year basis in January to 280,125 units. Announcing the fiscal's final bi-monthly monetary policy review on Thursday, the Reserve Bank of India (RBI) had noted that "high-frequency indicators of the services sector suggest some moderation in the pace of activity". The central bank said that the sales of motorcycles and tractors imply weakening of rural demand in December while the those of passenger cars, which are an indicator of urban demand, contracted, "possibly reflecting volatility in fuel prices and mandated long-term insurance premium payments". "Commercial vehicle sales also shrank in December 2018 from a high base of the previous year," the RBI said.